While America braces for a major eruption of Hawaii's Mount Kilauea, there are dire warnings about the potential for an even bigger disaster in still-struggling Puerto Rico. The Atlantic storm season begins in just two weeks, and the island has yet to fully recover from the ravages of last year's Hurricane Maria. This week a coalition of non-profit and advocacy groups issued a dire warning to Washington — the island won't be able to cope if struck again. About 20,000 Puerto Rican residents remain without electricity eight months after the Category 5 Maria battered the Caribbean. 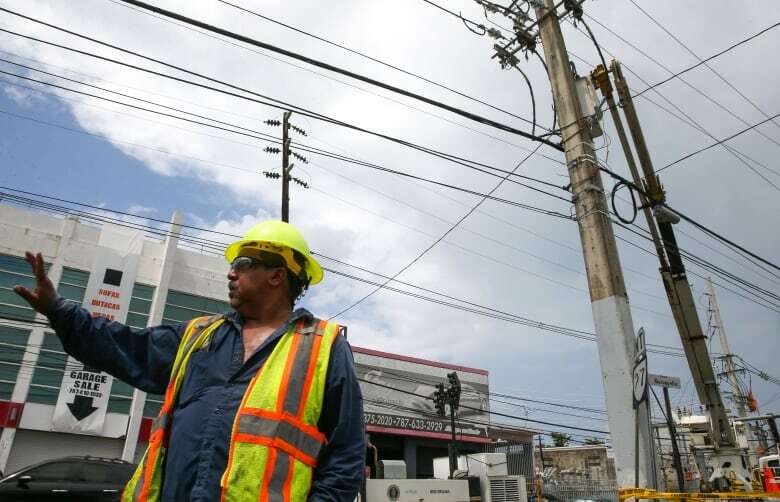 Victor Vazquez of the Puerto Rico Electric Power Authority works on power lines on April 18 in San Juan, continuing repairs to the damage caused by Hurricane Maria. Even in parts of the island that have electricity, the grid remains fragile eight months after the Category 5 storm. (Jose Jimenez Tirado/Getty Images)And it seems that many will wait in the dark much longer, as the U.S. Army Corps of Engineers will end its power restoration project on Friday. The grid remains so rickety that even small problems like a fallen tree or careless backhoe operator have caused massive blackouts. The storm's overall damage to homes, businesses and infrastructure was pegged at $94 billion US, but Congress has so far provided only a fraction of that amount in disaster relief. Many parts of Puerto Rico haven't finished repairing hurricane damage, due to lack of funds and materials. 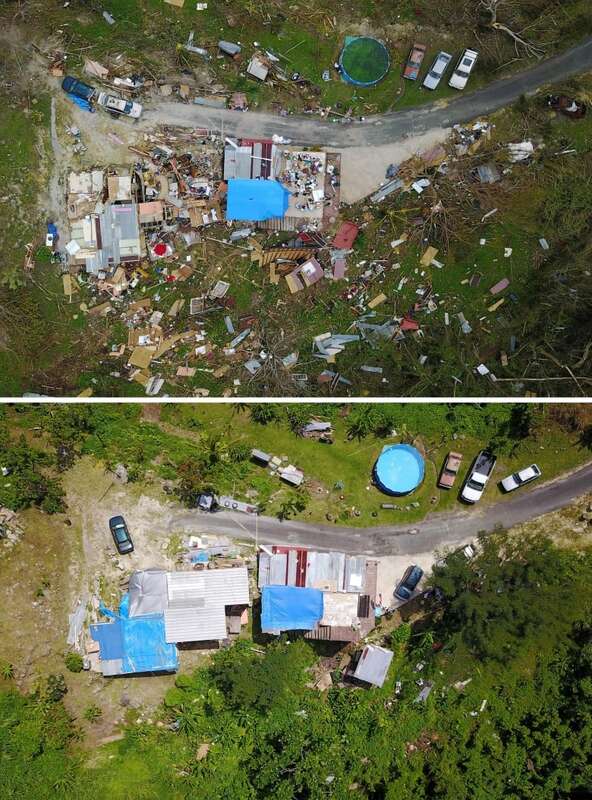 The top image shows a house damaged by Hurricane Maria in Corozal, Puerto Rico, on Sept. 24, 2017. The image below, taken March 18 this year, shows the limited extent of repairs, including tarps and pieces of tin used as temporary roofing. (Ricardo Arduengo/AFP/Getty Images)And the U.S. territory's crushing $72 billion debt and an 11-year recession have left the local government with little means to make up the shortfall. Puerto Rico has instead been slashing expenditures under an austerity program imposed by a federal board that now oversees the bankrupt island's finances. University tuition has doubled and 280 of Puerto Rico's 1,100 public schools are slated to close for good at the end of next month. Public employees have seen their benefits and pensions cut, while funding for food assistance to poor families has also been reduced. Residents aren't happy about the situation. On May 1, thousands took to the streets of San Juan to protest the measures and the slow pace of hurricane relief. Police responded with tear gas and there were more than a dozen arrests. 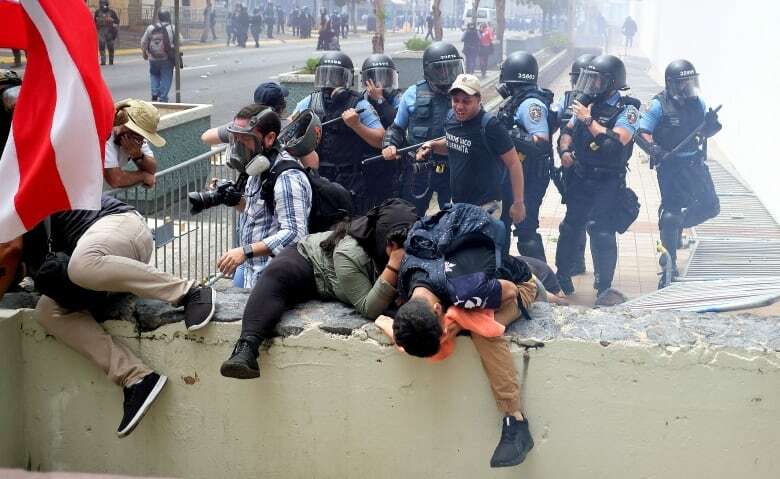 Protesters hit by tear gas run for cover during a May 1 protest in San Juan against pension cuts, school closures and slow hurricane recovery efforts. (Ricardo Arduengo/AFP/Getty Images)With the 2018 hurricane season looming, FEMA, the U.S. disaster relief agency, says it has been preparing for another storm. Warehouses have been restocked with 5.4 million litres of water, 3.6 million ready-to-eat meals and 100,000 tarps. High-capacity backup generators are in place at hospitals and shelters. All municipalities will soon be equipped with two-way radios and satellite phones. And FEMA says it will keep 67 recovery centres open through the storm season, with 2,800 employees on hand to deal with problems. But "ready" is a relative concept when it comes to natural disasters. 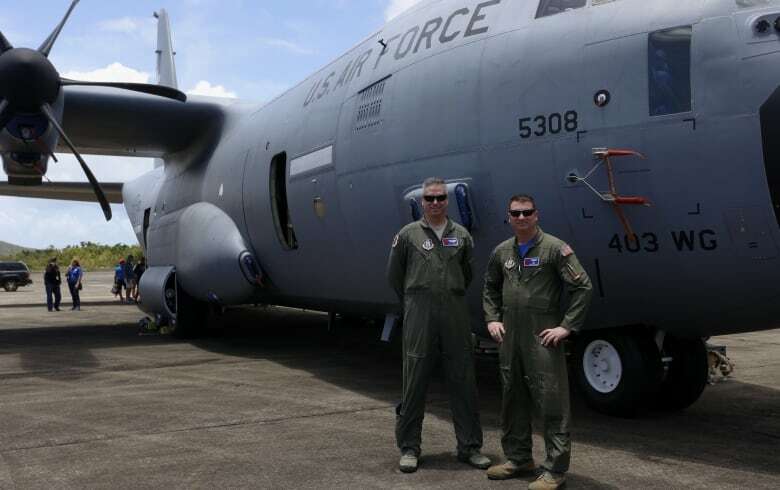 Pilots Jerry Rutland, left, and Christopher Dyke with one of the U.S. Air Force Reserve's hurricane-hunter planes in Ceiba, Puerto Rico, in April. They were part of a team raising awareness among the local population before the start of the 2018 hurricane season. (Thais Llorca/EPA-EFE)Officially, Hurricane Maria killed 64 people on the island last September. But the actual toll may be in excess of 1,000. In February, Gov. 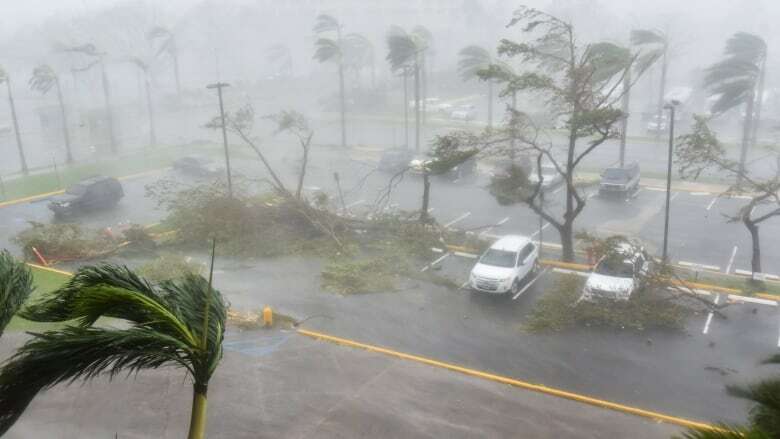 Ricardo Rosselló enlisted George Washington University to do an examination of post-Hurricane deaths on the island to see how many were linked to the storm. The campus in Washington D.C. is conveniently located just six blocks from the White House, should anyone from the U.S. government want to help. If Donald Trump really wants to win the Nobel Peace Prize, he might need to reconsider his new national security advisor. North Koreapulled out of a high-level meeting with South Korea this morning, and threatened to scrap the upcoming summit between Kim Jong-un and the American president. The ostensible reason was joint U.S.-South Korean Operation Max Thunder, an 11-day military exercise involving 1,500 troops, aircraft carriers and 100 planes, including B-52 bombers and F-15 fighter jets. 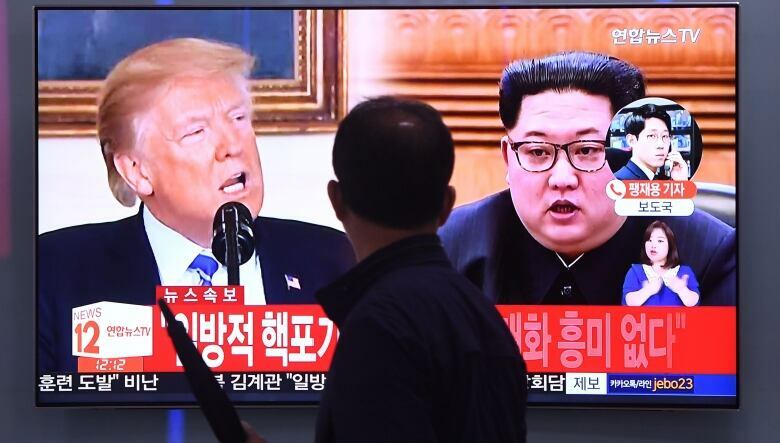 A man walks past a television news screen in Seoul on Wednesday showing North Korean leader Kim Jong Un, right, and U.S. President Donald Trump. (Jung Yeon-je/AFP/Getty Images)A statement issued by the North's official news agency called the joint exercise an invasion rehearsal and a "provocation running counter to the positive political development on the Korean Peninsula," according to South Korea's Yonhap News Agency. But it was the follow-up remarks from Kim Kye-gwan, Pyongyang's deputy foreign minister, that revealed the true target of the North's ire — John Bolton, Trump's recently appointed national security advisor. "We shed light on the quality of Bolton already in the past, and we do not hide our feeling of repugnance towards him," Kim said bluntly. John Bolton, President Trump's recently appointed national security advisor, has raised the ire of North Korean officials on a number of occasions, most recently with statements made during an appearance on Fox News. (Alex Brandon/Associated Press)Back in 2003 when Bolton was George W. Bush's UN envoy, he called Kim's father, Kim Jong-il, a "tyrannical dictator." That angered the North sufficiently that the regime refused to come to the bargaining table if Bolton was present. 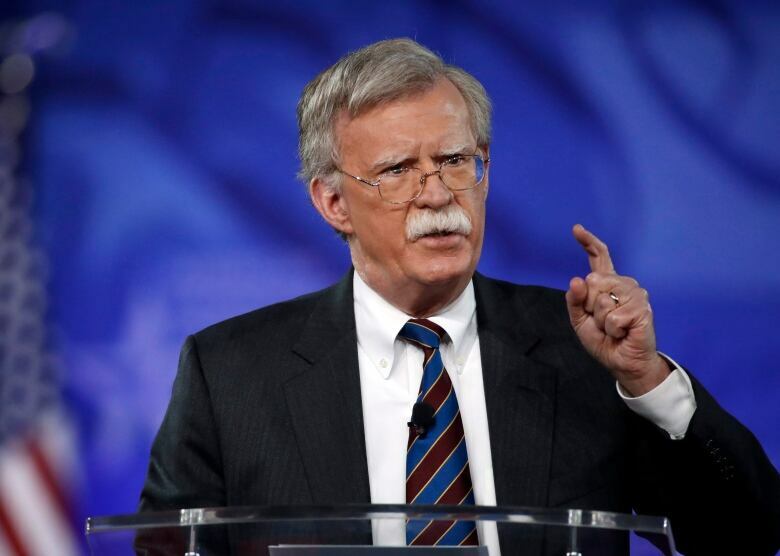 Now the North Koreans seem fixated on remarks Bolton made a couple of weeks ago during an appearance on Fox News. Asked just how the Trump administration intends to persuade Kim to part with his nukes, Bolton suggested it would be like "the Libya model from 2003, 2004," when Moammar Gadhafi gave up his attempts to build a bomb in exchange for the lifting of sanctions. As experts have since pointed out, it's not the best comparison. 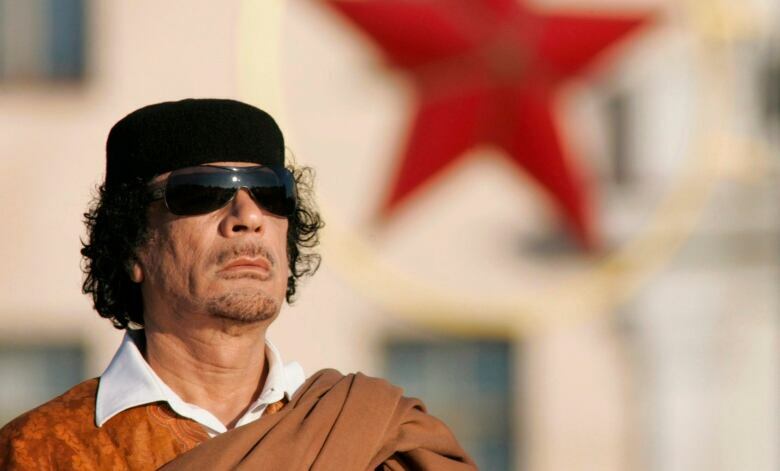 Libya's program was still in its infancy, while North Korea already has nukes and long-range missiles to deliver them. And then there's the fact that America helped topple the Libyan dictator eight years later, despite their deal. Libyan leader Moammar Gadhafi attends a wreath laying ceremony in the Belarus capital Minsk in November 2008. John Bolton has said that nuclear negotiations with North Korea should be similar to past discussions with Libya, which dismantled its rudimentary nuclear program in the 2000s. (Sergei Grits/Associated Press)Even if Washington didn't connect those dots, the Kim regime did. "It is essentially a manifestation of [an] awfully sinister move to impose on our dignified state the destiny of Libya or Iraq, which had been collapsed due to yielding the whole of their countries to big powers," Kim, the deputy-foreign minister, said today. "I cannot suppress indignation at such moves of the U.S., and harbour doubt about the U.S. sincerity for improved DPRK-U.S. relations through sound dialogue and negotiations." This morning, the White House sought to play down Bolton's remarks. It said that Trump — not his national security advisor — is calling the shots, and that there is no model, per se. But Bolton has given Kim Jong-un much more to be angry about. 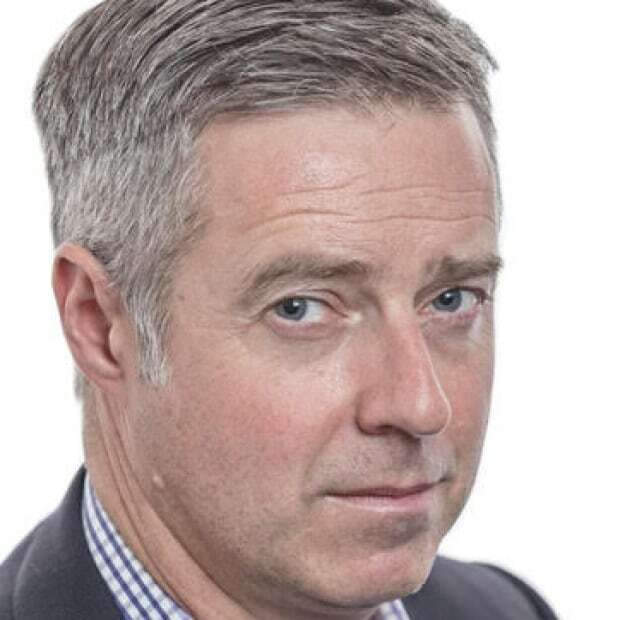 In February — before he took up his new position — the noted hawk penned an editorial for the Wall Street Journal entitled "The legal case for striking North Korea first." Bolton argued that America shouldn't wait until Pyongyang is fully nuclear, and instead should stage its own "pre-emptive attack" now. U.S. National Security Advisor John Bolton, right, listens to U.S. President Donald Trump on April 9 in Washington. In February, Bolton called Trump's toughened economic sanctions against North Korea 'worthless.' 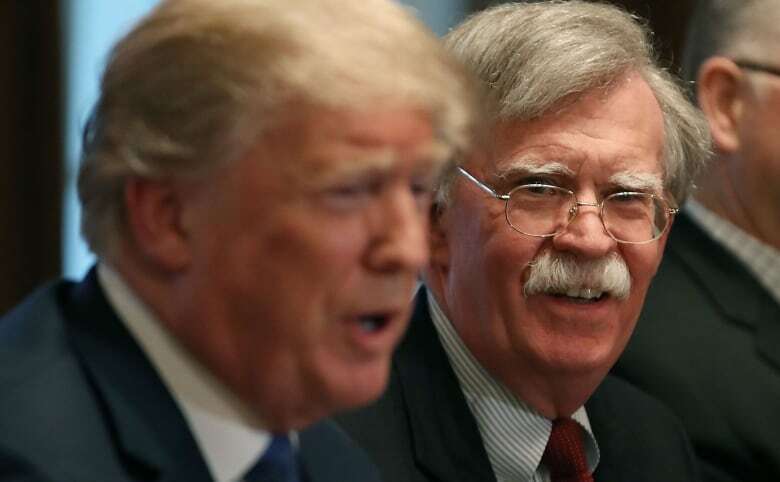 (Mark Wilson/Getty Images)A few days later, Bolton called Trump's toughened economic sanctions "worthless," arguing that the best diplomatic option is to convince China to "remove the regime in North Korea," or alternatively, seek a peaceful reunification that would put the North, "essentially under South Korean control." Then in March — again on Fox News — Bolton said he figured any summit with Kim is bound to fail, unless the North Korean leader agrees to renounce power. He even added a joke: "Question: How do you know that the North Korean regime is lying?," Bolton asked the host. "Answer: Their lips are moving." Diplomacy is apparently not John Bolton's strong suit. Rescue crews in Ireland have discovered a mysterious Canadian visitor — a large barge that is believed to have drifted all the way from Labrador. A passing fishing vessel sighted the 26-by-16-metre vessel off the Mayo coast on Monday and reported its location to authorities. A crew from Royal National Lifeboat Institution — the British Isles' equivalent of the Coast Guard — later towed it to harbour. The squat, steel barge appears to have made it across the North Atlantic without incident, but would have posed a significant danger if it had floated into the path of another vessel. It's not the first time the currents have carried a Canadian stray all the way to Irish shores. In the fall of 2016, a wooden houseboat built by an Ontario eco-adventurer washed up on Cross Beach in County Mayo. Authorities traced it back to Newfoundland, where the boat had been used as a shelter for homeless youth before being left abandoned in Portugal Cove. The Russian cruise ship Lyubov Orlova, seen in Saint John's harbour before it was towed out to sea. The 100-metre vessel broke free of the tug while it was being taken to a scrap yard in the Dominican Republic, and was last seen off Ireland in 2013. 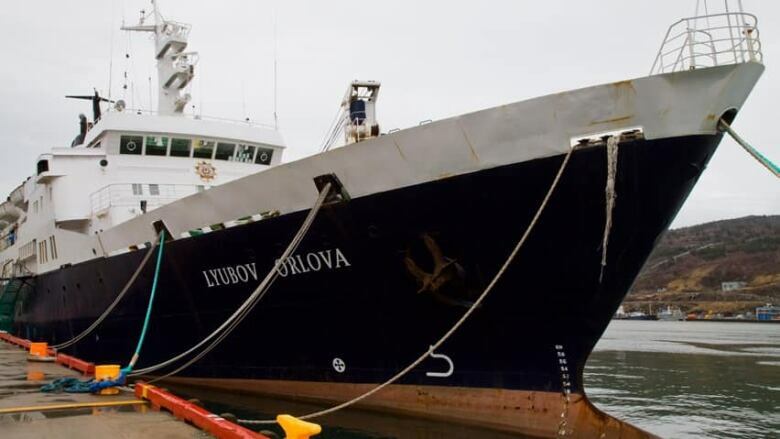 And the Lyubov Orlova — a dilapidated, Russian-built Arctic cruise ship that had been left to rot in St. John's Harbour — was last seen well off Ireland in early 2013. The 100-metre vessel broke free while it was being towed to a scrap yard in the Dominican Republic. Ghost ships are actually more common than one might think. A 50-metre Japanese fishing boat that was washed out to sea by the March 2011 earthquake and tsunami was located off Haida Gwaii, B.C., a year later. And the west coast of Japan has been having major problems with derelict North Korean vessels. In 2017, 95 boats — accompanied by 27 bodies — were recovered from the waters and beaches of the Oga Peninsula on Honshu, the country's main island. The derelict Japanese fishing vessel Ryou-Un Maru burns before sinking after the Coast Guard Cutter Anancapa fired explosive ammunition into it in April 2012, some 180 miles west of the Southeast Alaskan coast. The vessel had been drifting since it broke free of its moorings in Japan during the March 2011 tsunami. (EPA)Maritime history is filled with legendary ghost ships like the Mary Celeste (real) and Ourang Medan (apocryphal). One of the most famous, the SS Baychimo, was Canadian. The cargo vessel, owned by the Hudson Bay Company, got caught in pack ice off the coast of Alaska in the fall of 1931. The crew took shelter in a nearby town, but the winds shifted and the vessel drifted away. For years afterwards, Inuit hunters would periodically come across its hulk trapped in the Beaufort Sea ice. The final sighting was in 1969, a full 38 years after the ship was abandoned. "I am sorry for my selfish comments and I humbly ask for your forgiveness." - Toronto-born Cincinnati Reds star Joey Vottoapologizes for suggesting he didn't care "almost at all" about Canadian baseball and its fans. Three Toronto news veterans — Bob Johnstone, Bill Copps and Jocko Thomas — reminisce about the good old days of crime, like the Polka Dot Gang, and the infamous Edwin Alonzo Boyd and crew. The best anecdote is about how the cops took the artificial foot from Body gang member Lenny Jackson to stop him escaping from the Don Jail. Spoiler: it didn't work.